Bubby loves to eat. 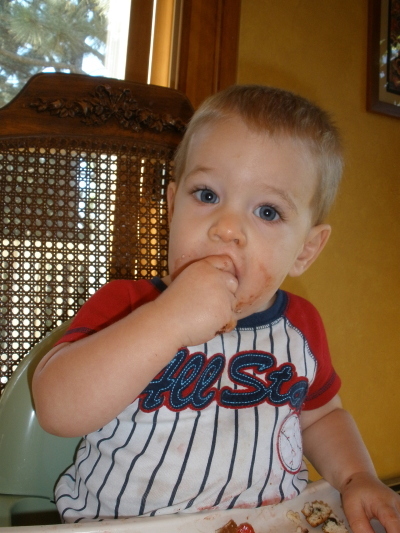 And in going through my photos looking for blog pictures, it's obvious that I love to take pictures of him eating. I could analyze the reasons I take lots of photos of him eating (I'm sure it has something to do with me showing my love for others through food!) but that's not as fun as sharing a few of my favorites of him enjoying his vittles. I can't wait 'til he can eat some yummy stuff made by Grandma.